Built-in chipset that converts digital to analog signals. 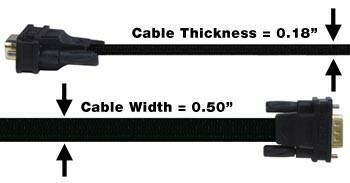 Flat cable is ideal for tight spaces. Features a micro USB connector that provides additional power to the converter if needed. Does not pass HDCP content as VGA is unencrypted. 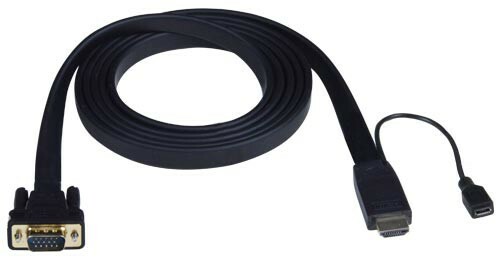 Output connector: male 15-pin HD. Length: 2 meters (6.6 feet).